At the beginning of the last month, hackers attacked ZenCash and took control of the blockchain. The 51% attack occurred over a span of 110 blocks, allowing attackers to spend the equivalent of $550 thousand. Let’s talk about ZEN mining and learn some curious facts about this coin. 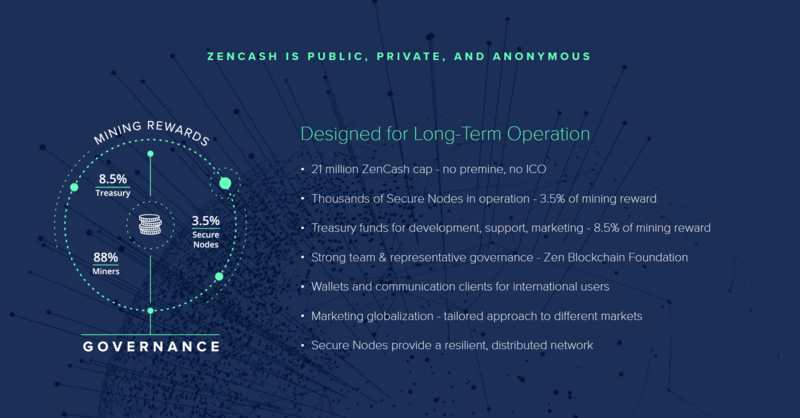 ZenCash was launched last year, on May 30. 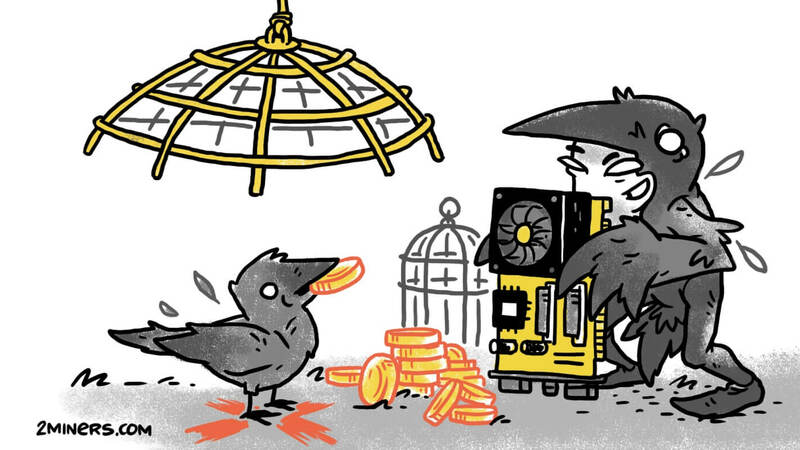 Developers define their project as a secure platform for money, messages, and media. That’s what they say on the official website available in different languages. Deep localization is still rarely seen among cryptocurrency projects, so it makes ZEN look entirely credible. On the website, you can also check out the features of the coin, the roadmap, and the team. ZEN uses decentralized autonomous organization (DAO) and “the latest privacy technology,” such as zk-SNARKs, Domain Fronting, and IPFS. Their purpose is to hide information about transactors and ensure anonymity. ZenCash seems to do it quite well. According to developers, the mission of their project is to level the economic playing field through technology, scientific research, and development. The original White Paper is satisfied by 80 percent. This year the developers plan to improve the Secure Node system, create next-generation solutions for scaling, as well as develop DAO-Treasury and a protocol-level voting system. As for 2019, they plan to integrate Dandelion++ for network stack anonymity, and IPFS published on Secure Nodes. The team of over 50 developers from around the globe will be working on it. As we write this, ZenCash ranks 117th in the world. Its rate is $15.56 which is 10% lower than the day before. The market capitalization is $64 million. The highest rate was on January 10 exceeding $65, while the lowest rate was seen on August 1 amounting to $3.29. The circulating supply is 4.13 million ZEN with the maximum quantity of 21 million. 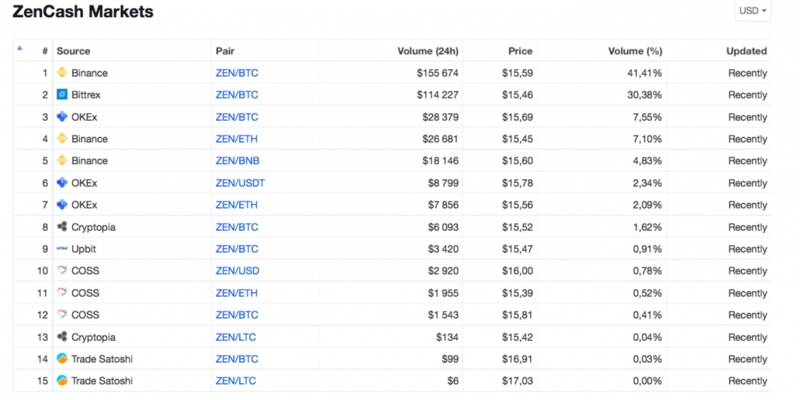 In the last 24 hours, ZEN trading volume reached $375 thousand. 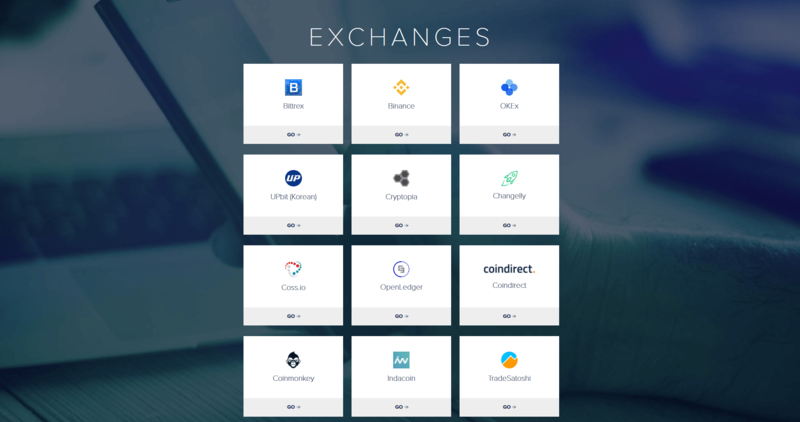 The official website names 18 exchanges. Among them are Bittrex, Binance, OKEx, and UPbit, as well as Cryptopia, that we already know how to use. CoinMarketCap lists 15 pairs in which ZEN is traded. 71% of trading operations goes through Binance and Bittrex. If you mainly trade ZenCash in pairs, you’d better store coins on an exchange so that you can conduct transactions quickly. If you hodl, then choose one of the options below. There are two versions of wallets for Windows, Mac OS and Ubuntu – full client and lite client. There is also a web wallet, an Android app, and a paper wallet. Developers also mention third-party wallets – Coinomi, Ledger, and Xeeda. They based ZenCash on Equihash, so you can use the same hardware that works for Bitcoin Gold, Zcash, Bitcoin Private, and Hush mining – 3GB+ Nvidia graphics cards. AMD cards will work too, but their performance is not as efficient. Another option is the ASIC miner. 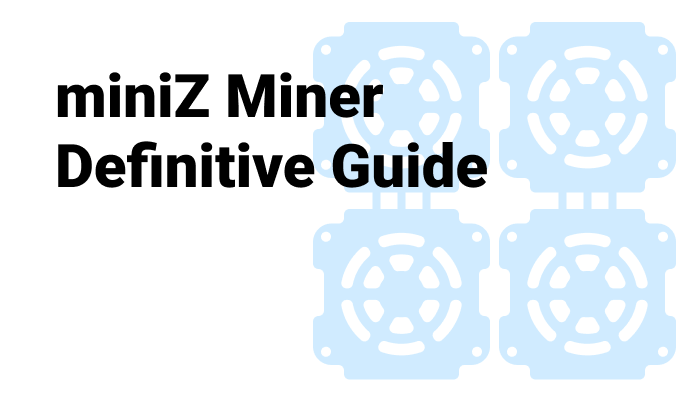 You can choose A9 ZMaster by Innosilicon or Antminer Z9 mini. We compare the productivity of these models here. Block find time is 2 min. 30 sec. Miner reward is 11 ZEN, or $171, according to the current exchange rate. On the 28th of June, they reduced miner reward to 8.75 ZEN. As usual, let’s calculate profitability based on 6,000 h/s hashrate that corresponds to a rig with eight Nvidia 1080ti cards. All calculations are exclusive of electricity costs as they may differ. 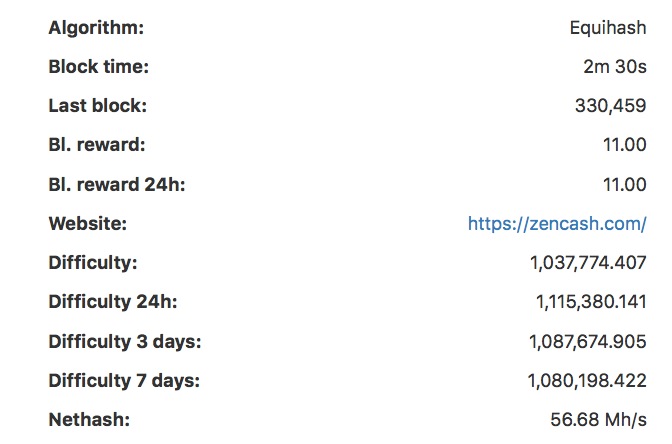 ZEN mining on one rig will bring $10 a day, or $285 a month. If you have three such rigs, multiply the result by 3. If you have different graphics cards, go to WhatToMine and enter your values for the hashrate and power. 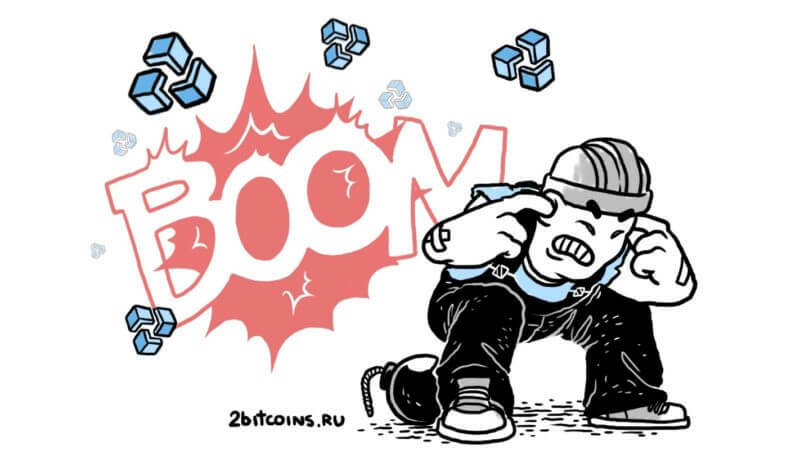 Difficulty maintains a balance between the number of miners and the block find time. Without it, mining would not be profitable. 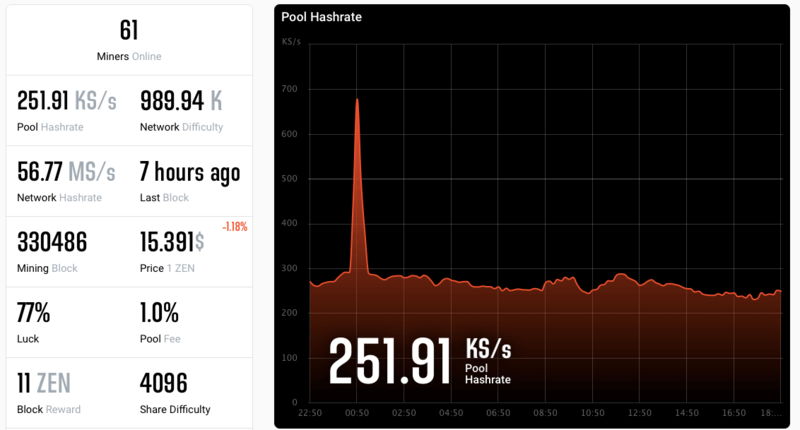 Current difficulty is at 989 K.
Overall hashrate of all the miners in the network is 56.77 MS/s. On the official website of the company, you can find the list of recommended pools, including 2Miners that we advise you to use for mining. First of all, you should decide on the mining mode: solo or PPLNS. 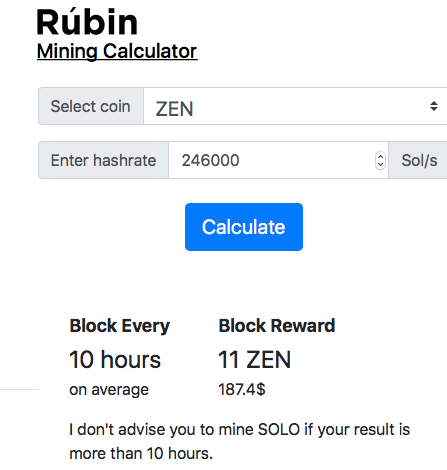 The Rubin mining calculator advises to mine solo only if your hashrate is at least 246000 h/s. This number corresponds to 41 rigs with 8 Nvidia 1080ti cards. 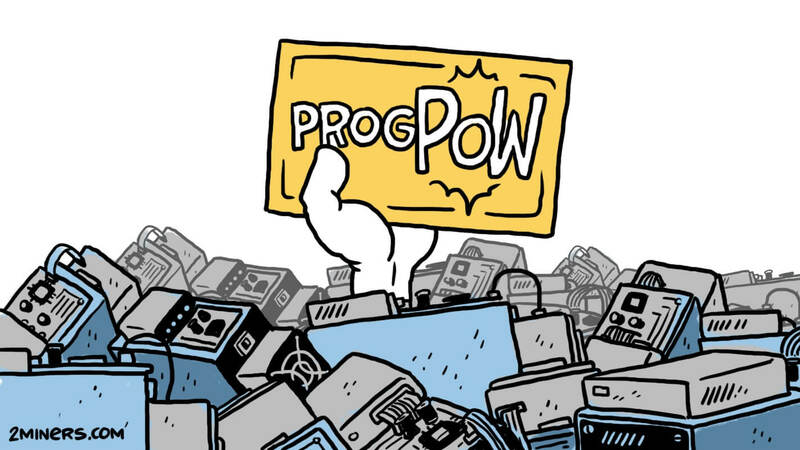 If you don’t have enough hashpower, you’d better choose pool mining. To do so, download the latest version of Claymore’s miner for AMD or EWBF’s for Nvidia here. The password is 2miners. Then you should type in your wallet in the file /EQUIHASH/AMD/zen-pool.bat or /EQUIHASH/NVIDIA/zen-pool.bat. You can use any text editor. Now you can launch the file and get coins. Don’t forget to read our articles about other cryptocurrencies. We have tutorials for Bitcoin Gold, Calisto, and Ethereum Classic. 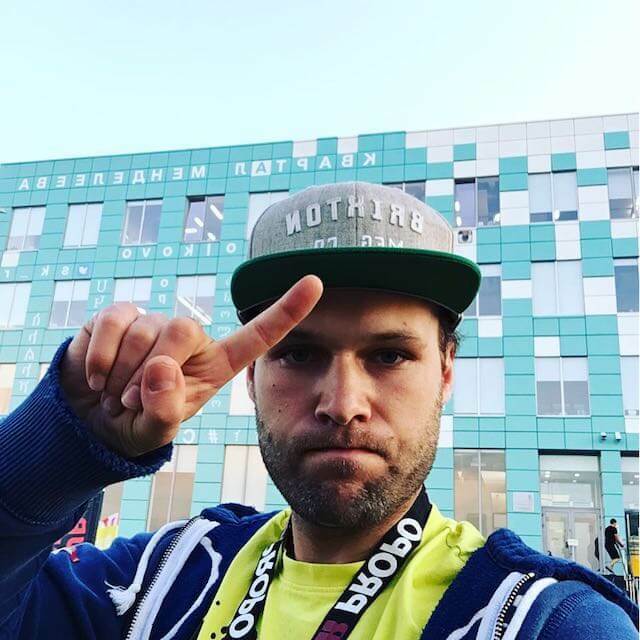 Make sure to subscribe to our Telegram channel.